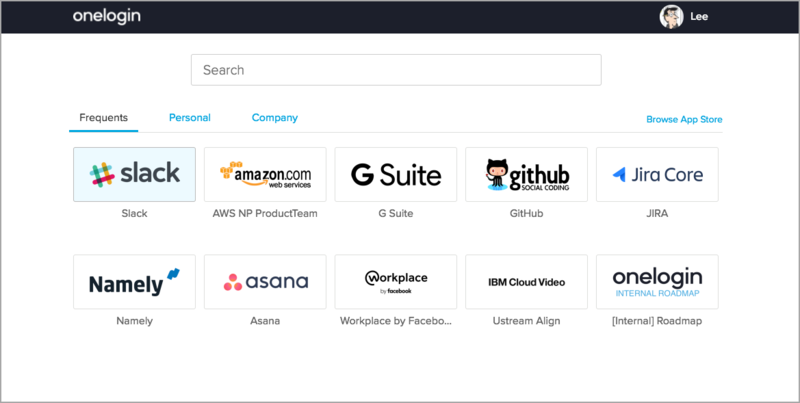 The new OneLogin Portal is our fastest end-user portal yet, focused on employee productivity and delightful user experience. All new customers get the new portal by default. To help existing customers migrate their users gracefully to the new portal, we provide a user policy setting that lets you try out the new portal with targeted groups of users before you roll it out to your entire organization. Starting on February 28, 2018, we will be transitioning customers to the new portal. Between February 28th and March 31st existing OneLogin customers will be migrated to the new portal. If you would like to know the exact date your account will move we recommend that you self select and enable your account on your own prior to our migration timeline. What does the new portal offer? Running on a scalable Node.js architecture, with a UI written in React and UI elements served up using CloudFront CDN, the new portal is fast. Existing accounts are set to Users can only use legacy Portal by default. When you roll out the new portal to your users, you can opt for a soft switch (your users can switch to the new portal when they want, using a preference setting on their Profile page) or a hard switch (users will only see the new portal). A soft switch can help you understand if your users need any internal training or special instructions. If you have multiple user policies, you can use one of them to try out the new portal with a targeted group of users before you roll it out to your entire organization. This portal version setting is temporary. We expect to end-of-life the legacy portal and switch all customers to the new portal by February 28, 2018. The portal settings will be removed from user policies and Profile preferences at that time. *** Note *** If your company uses Internet Explorer, only the latest versions of the OneLogin browser extension for IE are supported when using the New Portal. These are versions 3.0 and higher. You may download the latest version either from our downloads page at https://www.onelogin.com/downloads or under your Profile > OneLogin Browser Extension.